Dedicated Hosting and Dedicated Servers do have almost similar names. Not surprisingly, many people equate the two. However, do you know that Dedicated Hosting and Dedicated Servers have different meanings? Next, O4U will summarize the definition of Dedicated Hosting and Dedicated Servers, so we don't choose the wrong one. Actually, dedicated hosting services are the same as VPS, it's just that when using VPS the customer must manage his own virtual server, so the price is cheaper. Whereas, on dedicated hosting, customers are no longer bothered with managing their virtual servers, because managing their virtual servers has been done by the hosting provider. It can be said, this dedicated hosting is a premium hosting service, where customers only need to focus on their business because to manage virtual servers. So, what's the difference with a Dedicated Server? Dedicated servers actually refer more to physical servers. So customers can rent one physical server as a whole. No wonder when buying a dedicated server, customers will be treated to physical server specifications, such as types to the processor brand used. With more flexibility, of course, managing the Dedicated Server is also no less troublesome. Not only manage the virtual server like VPS and Dedicated Hosting. Using Dedicated Servers means also managing the physical server. So, prepare more time and energy, also the cost is not small if you decide to choose a Dedicated Server. You webmasters certainly know very well that in managing a website, quality and qualified hosting is needed. Because hosting greatly affects the performance of the website in displaying data information such as images, videos and so on. Without hosting, the data that you want to display on the website will not be displayed. At present, hosting is divided into several types ranging from the cheap, shared hosting to the most expensive, namely dedicated server hosting. Of course, each type of hosting has its own advantages and disadvantages. It's just that for this article, only the advantages and disadvantages of dedicated server hosting will be reviewed. Dedicated servers are the right choice for you who want to create a website with the best quality and maximum performance. Because dedicated hosting allows you to use one server alone. Unlike shared hosting, which requires you to use one server together with other users. 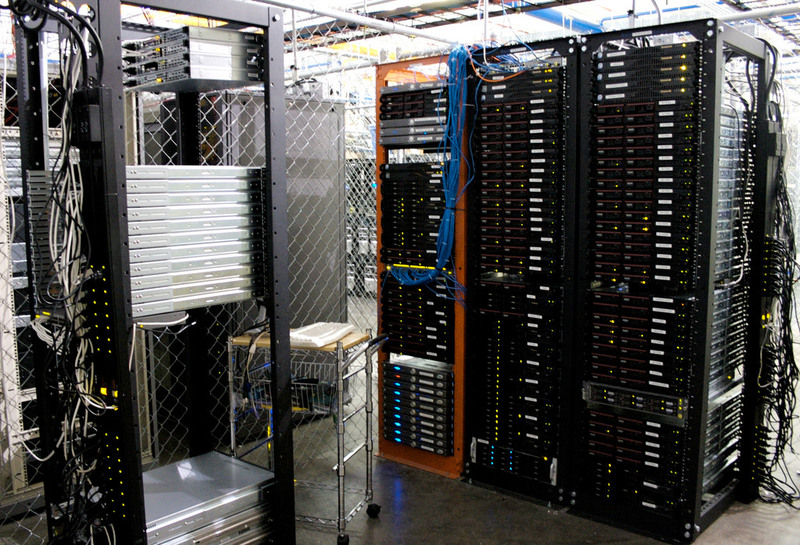 Using a dedicated server, you have full control of the server that is rented. Another case if you use shared hosting. Where all things related to the server management process are in the hands of the hosting service provider. Dedicated Server is basically a service that can provide flexibility and control to its users on leased servers. The server to be rented is intended for renters and will not be shared with other users. For those of you who are still confused about where to choose to host, below are the advantages and disadvantages of a dedicated server that you might consider as a consideration. a dedicated server gives the tenant the freedom to control the server that is used 100%. Interestingly, a dedicated server will also make it easier and free for users to configure according to the required specifications. The advantages of using the next dedicated server are if there is damage to the server, then it is the responsibility of the hosting service provider to fix it immediately. Another advantage is that tenants can only control the server using the remote. No need to supervise the physical server directly. So that it won't bother you or burden you while managing the website. Using a Dedicated server, you don't need to be bothered with other clients. Because this hosting will only be used by one user. So it will not interfere with website performance if at any time the number of visitors increases. This hosting also allows users to manage multiple domains on one server they have. Where the management of the website will also be more optimal because it is you who have full control and power over the server. The lack of a dedicated server that is enough to make a lot of website managers just in case is an expensive rental price. The higher the desired server specifications, the more expensive the price must be paid. It's different from shared hosting which allows you to pay rent together with other users. Another disadvantage is that you as a tenant must understand the performance and control of the server. This is very important so that you can manage your dedicated server to the full. Moreover, there are quite a lot of settings in various applications that must be done. So you really have to learn data management using a dedicated server before hiring it. The following are some of the advantages and disadvantages of dedicated server hosting. Now, you already have an idea of hosting that the plan will be chosen right?